When you say washi paper, origami comes to my mind. I look at the intricate patterns and I am just dying to make them into paper beads or at least find a way to incorporate them with paper beads. The most common way to make them into a bead is wrap it around a wood bead that is cylindrical in shape, the result is just awesome! 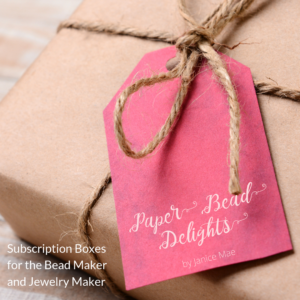 Got some boring looking paper beads? Here’s how I did it…..